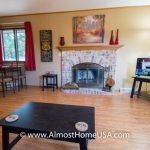 Almost Home is excited to offer our Green Bay corporate housing clients this spacious 3 bedroom fully furnished duplex, located in a quiet neighborhood with . . . 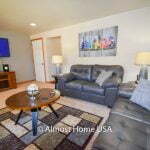 Almost Home is thrilled to offer our Green Bay corporate housing clients this spacious 2 bedroom fully furnished duplex, located in a quiet neighborhood near . . . Newly renovated and professionally decorated, this beautifully fully furnished duplex will feel like a luxury home. Includes 3 bedrooms, 1 and 1/2 baths, approx. 1,400 . . . 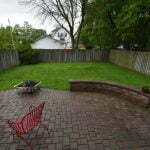 This Appleton furnished apartment is minutes from banks, grocery stores, churches, Wal-mart, Kohl’s, Target, Home Depot, and may other major stores and restaurants. Our one and . . . Almost Home Appleton corporate housing offers one and two bedroom apartment homes that may include an office nook, gas fireplace, ceramic tile flooring, washer and . . . 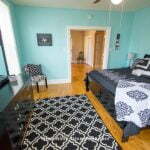 This furnished townhouse is an ideal place for anyone in need of temporary furnished housing. It is the ideal combination of corporate housing and the . . .
We serve the entire Appleton area including Menasha and Neenah. Appleton furnished apartment residents enjoy living in an award-winning location. Appleton was awarded Money Magazine’s Top 100 Best Places to Live not too long ago. Appleton is an all-American town with beautiful summer weather which a lot of people from the south take advantage of by coming north in the summer months. There are many things to do here with lots of shops and restaurants. Crime in the area is lower than the national median thereby allowing a safe feel for temporary housing in Appleton. The city is laid out in grids, so navigating and finding what you need is not difficult. The city is also close to Oshkosh in the south, about a half hour's drive on Route 41, and it is a stones throw to Green Bay in the north. The city straddles the Fox River, so don't be surprised to hear it referred to in reference to the Fox Valley. They have their own airport, the Outagamie County Regional Airport, and many people find it convenient to use Appleton’s airport even when going to Green Bay. If you're staying in an Appleton corporate apartment for some time, you have to know that the temperature ranges can range from comfortably warm in the summer to bitterly cold in the winter. Pack accordingly. Average highs in the summer are below 80°F while winter lows can dip to -10°F. It also gets pretty cold when you factor in the wind chill here. Appleton is a convenient city of about 75,000 people spread across 25 square miles. With this size of population a lot of the services are spread across College Avenue in the southern part of the city. In the northern section of the city, on E. Northland Ave, are another set of services. Pretty much everything is fairly convenient to our Appleton corporate housing. Fox River Mall on West Wisconsin Avenue: This is a nice mall with your standard shopping from clothing to toys and hobbies including entertainment and food. The mall is located between College Ave and Wisconsin Ave. You can approach from the east or the west on either. If you're coming from the north or south, Route 41 or South Casaloma Dr, will work. Museums: There are a number of museums in Appleton that would be a worthy destination during your stay in temporary housing. If you are into history, the History Museum at the Castle on East College Ave, may interest you with their local collection. If you like art then, the The Trout Museum of Art on West College Ave will certainly has a lot to offer. Finally, there is the Hearthstone. This is worth the visit because it is the first home to be powered by an Edison hydroelectric power station. Golf : There are a number of places you can swing a club in Appleton. There are member-only clubs like the Riverview Country Club on Oneida St. and Butte Des Morts Country Club on W Prospect Ave. There are also public courses like the Reid Golf Course on E Fremont St, that is open to the public. There is also a mini golf course, Kamleyawn Meadows Golf on Evergreen Drive, for beginners to practice and take lessons. Performing Arts: If your interest is in classical music or performing arts, the Fox Performing Arts Center on East College Avenue has performances from Broadway musicals such as Flash Dance and Hello, Dolly with Sally Struthers to dance performers and musical shows such as Jim Brickman and the Fox Valley Symphony. The hall is acoustically brilliant. Parks & Recreation: One of the best ways to take advantage of the northern air, be it in the summer or in the dead of winter, the parks in Appleton are a good place to head to for a run, or just to relax amid green grass and graceful trees. Telulah Park is on East Newbury St and offers a number of activities for everyone including picnicking, tennis courts, soccer fields and basketball courts. Then there is Pierce Park on West Prospect Ave that offers similar services. There is also Erb Park on N. Morrison St and the Appleton Memorial Park on E. Witzke Blvd. With the number of parks and places to hang out, especially the shops and galleries on College Ave and the different activities you could do, you will be able to keep yourself pretty occupied while you are posted here. 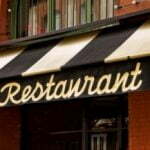 You will also need to get familiar with a couple of everyday services. There are a few grocery places and drugstores to choose from, try them all out then stick to the one you're comfortable with. Groceries: Temporary housing feels like home when you can get the kitchen smelling of good cooking. You want to check out the variety of stores in the area for fresh produce and groceries. One place that's on N. Westhill Blvd. is Woodman's Market. Woodman’s is known for great produce prices and this is on the east side of the city. If you would like something on the west side of the city, try Pick n' Save on Stoney Brook Rd. In the north a good option is Fest Foods on Van Roy Road. In the south of the city, try Copps on Calumet St.
Drugstore: Quite a few places have drugstores attached to them or you can get to a neighborhood drugstore. If you're looking for national chains, Walgreens is located in College Ave and another one in N. Meade St, CVS is on Oneida St. While Copps and Pick n' Save grocery stores have pharmacies inside. Laundry: Being a college town, there is no shortage of simple living services like laundromats. You can find them all over the city. There are two on Wisconsin Ave, two on College Ave and a couple others outside the city limits. Gunderson Cleaners is one of the better laundry services in Appleton, offering free pick-up and delivery. They even have dry cleaning, alteration and repairs. If you need a coin operated laundromat, head over to JJ's Laundromat on West College Ave.
ATMs: Most of the ATMs are located along East and West College Ave. You'll be able to find Chase Bank, Johnson Bank, a Credit Unions and Wells Fargo easily around town. Armed with the various places to grab a bite and places where you can get to do stuff, don't forget that Oshkosh is not that far away, and if you are here in the summer, the Oshkosh Airshow in July is something you will not want to miss. It's a gathering of the nation's aviation enthusiasts and promises to be a fabulous times even if you are not an aviation fan.